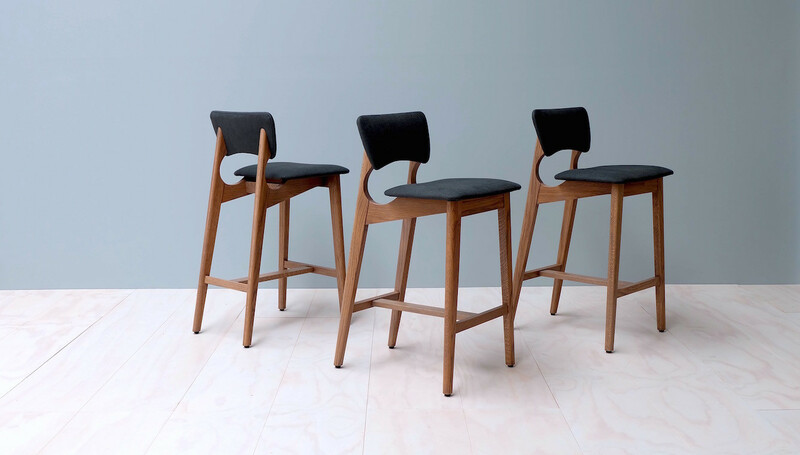 Avoiding the Cliché with Studi..
Remaking Sydney’s Iconic Golf ..
Lema has a long legacy of producing quality designs with a distinctive aesthetic that melds form and functionality in timeless pieces. 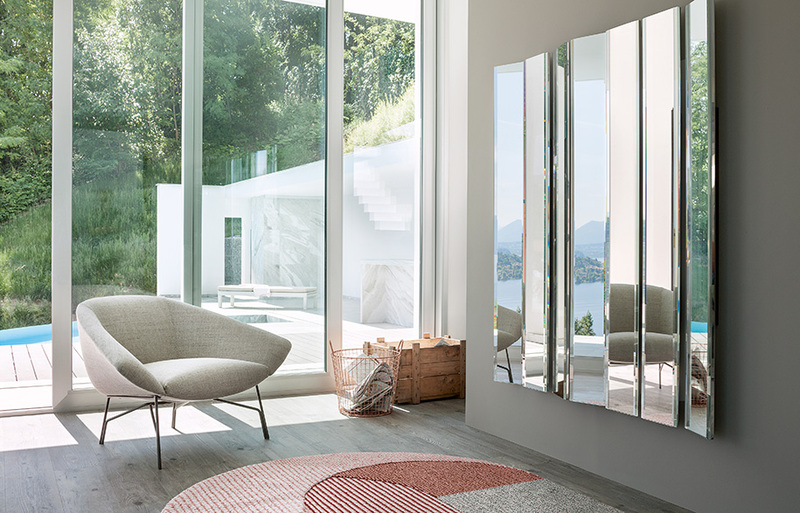 Collaborating with designers across the world, the latest offerings from Lema uphold this tradition, continuing to set the bar high for modern design. 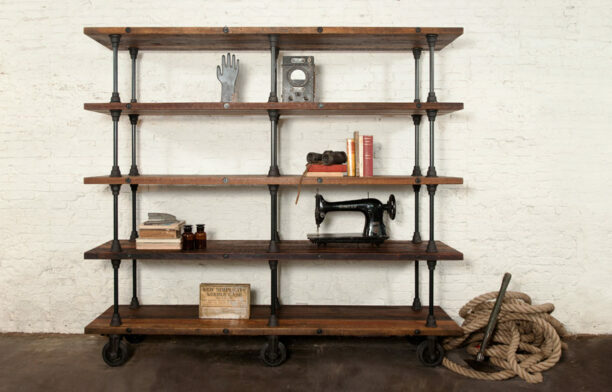 Rogerseller is proud to introduce these pieces to Australia. 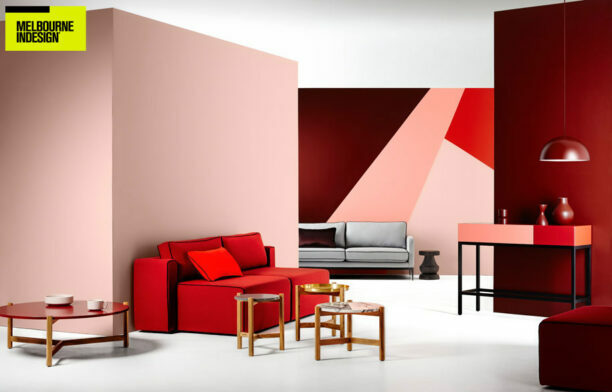 Working in collaboration with Lema, Italian designer Francesco Rota devised the Court Yard storage system, the Yard Daybed and the Shade table, adding to Lema’s considerable collection of furniture. 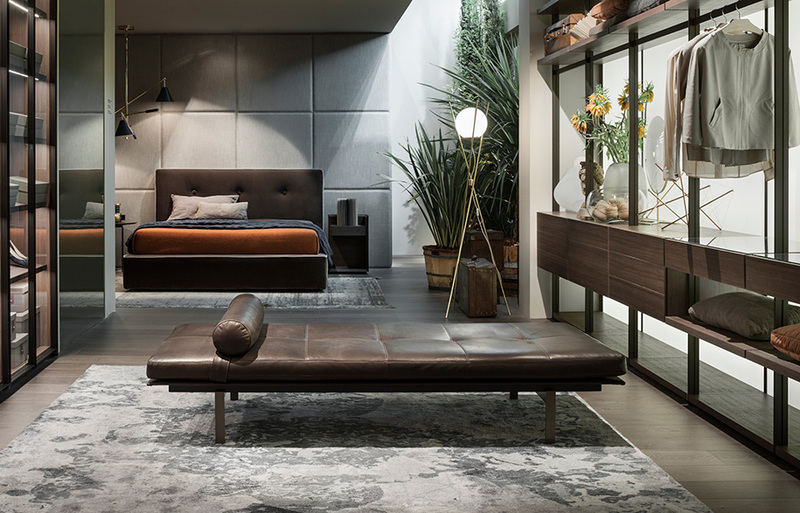 Maintaining Lema’s distinctive aesthetic of elegant form showcasing the beauty of materials, the Court Yard system is comprised of a rich, dark brown oak contrasted with a slim and delicate looking bronzed metal base. 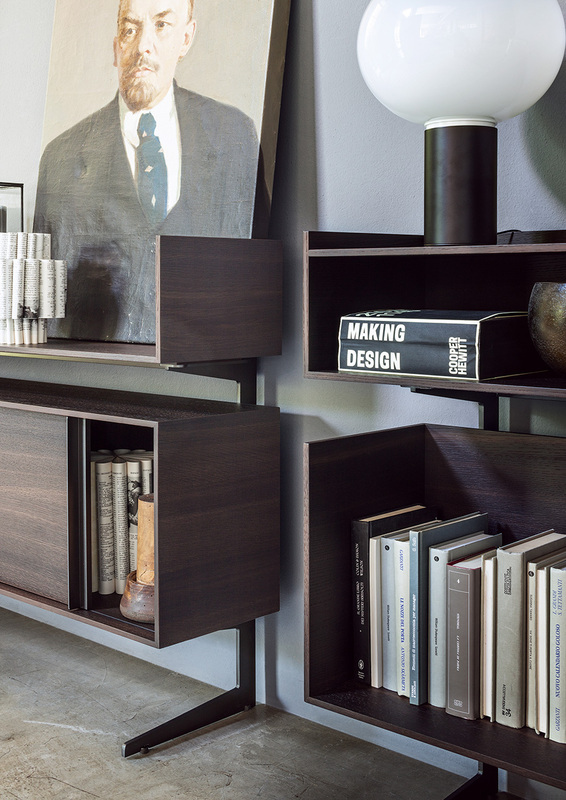 With its compartmental features, it re-interprets the taste and creativity typical of the industrial design of the ‘60s. The Yard Daybed, on the other hand, echoes the warm brown tone of the Court Yard system, in its leather upholstery. The base of the Yard Daybed is slim and delicate looking, but possesses all the strength of bronzed metal. 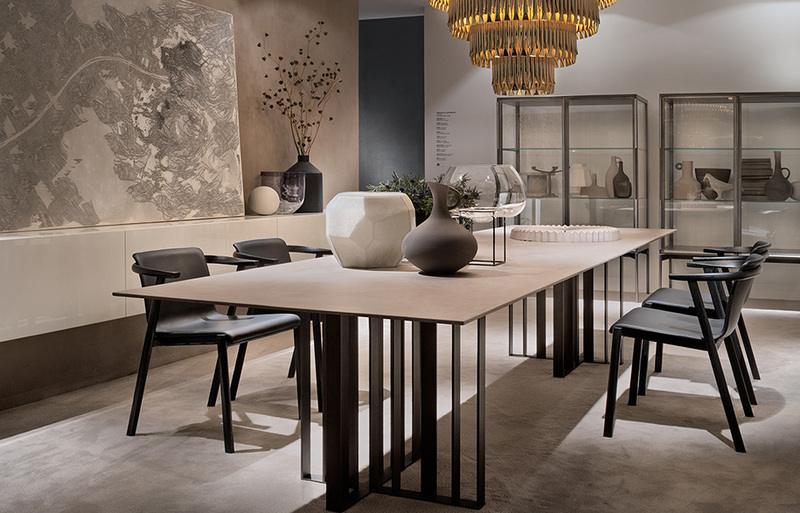 Accompanying the pair is the Shade table, with multiple sheets of treated metal crossed asymmetrically supporting the expansive tabletop on either end. The effect of moving light dancing across the base structure gives the table its name: Shade. 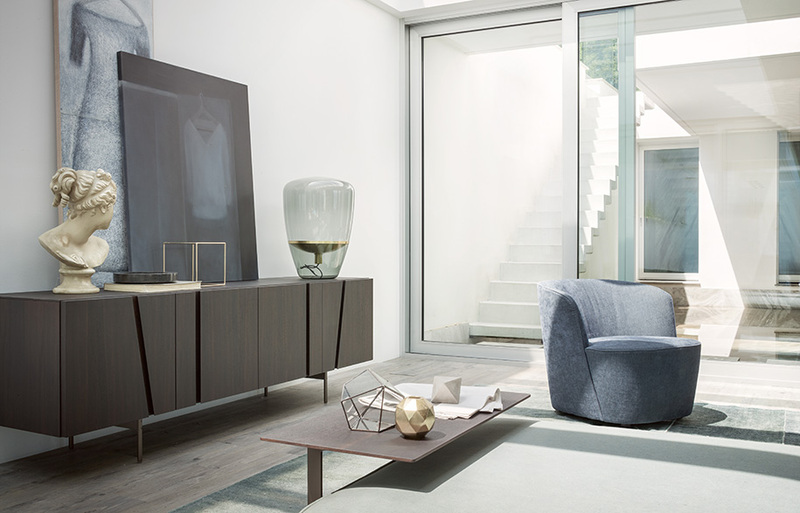 Roberto Lazzeroni’s Bice lounge chair is a luxurious and timeless addition to Lema’s offerings. 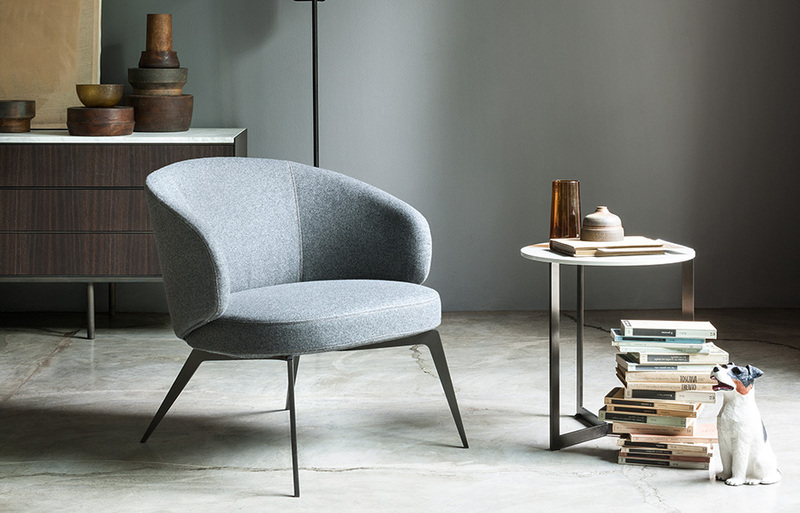 Combining cosy shapes and vintage soul, the slanted backrest and plush seat invite rest and relaxation. 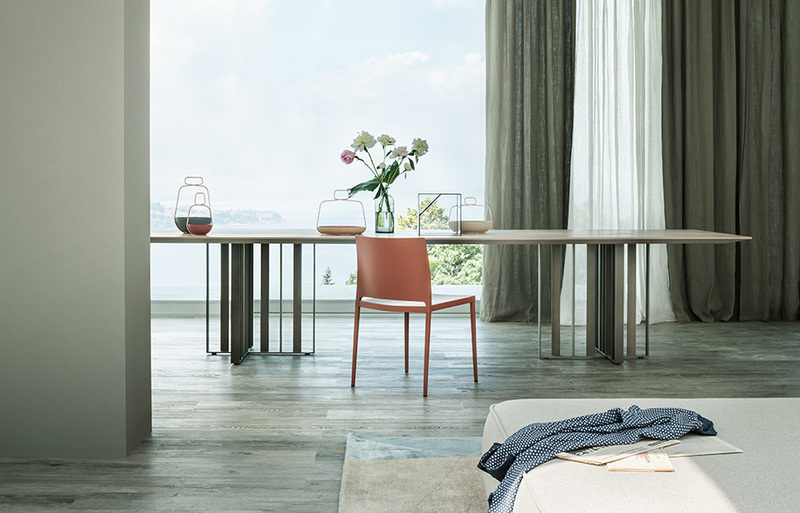 The forked metal legs contrast with the sumptuous upholstery and structure of the chair, with the option for personalising the upholstery with various leathers and fabrics. 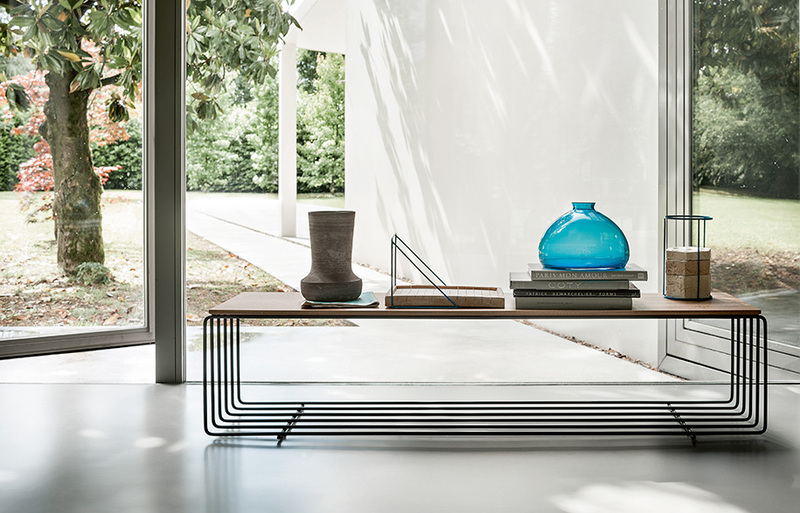 Regular collaborator with Lema, Christophe Pillet, created the Fence bench, which takes after its namesake and features a base and support structure of multiple curved and slender metal rods placed parallel to each other, creating a silhouette that plays with shadow and light throughout the day. 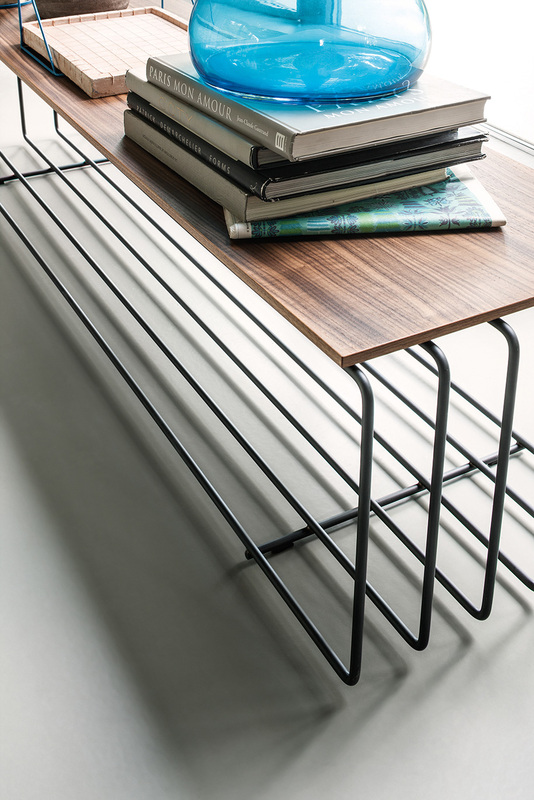 Juxtaposed against these steel rods is the expansive solid Canaletto walnut slat resting on top of the metal strands, creating an appearance of understated luxury. 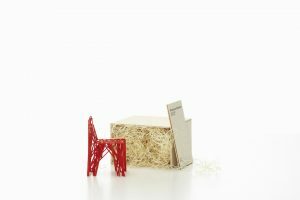 Milan based Paolo Lucidi and Luca Pevere, of Lucidi Pevere, created the simple and modern Note side table, fusing aesthetics and function. 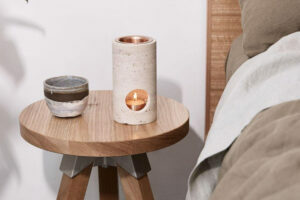 Small and easily moved, what is distinctive about the Note side table is the careful balancing of three simple surfaces, and the melding of stitched leather and metal. 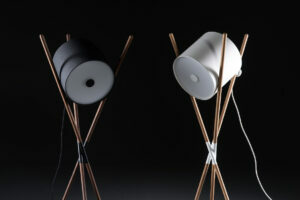 The minimalist design makes the Note side table unobtrusive, and clever side pockets reduce the opportunity for clutter. Born in Malta, with a Masters degree in industrial design from Milan’s Domus Academy, Gordon Guillaumier was inspired by the idea of modernising retro design in his Lennox armchair. 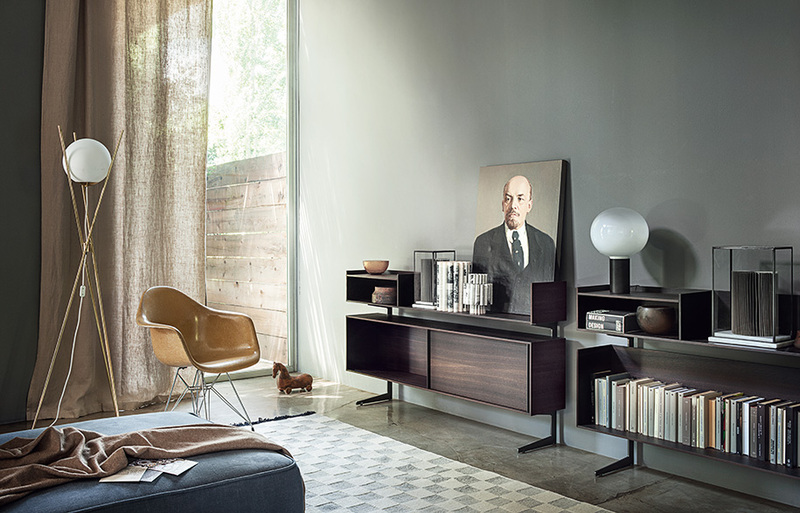 With an open corolla design, the armchair is welcoming and comfortable – the ideal nest for reading and listening to music. The Notch pouf is a whimsical and pared back design devised by Johan Lindstén, sure to spark conversation as an interesting alternative seating arrangement. 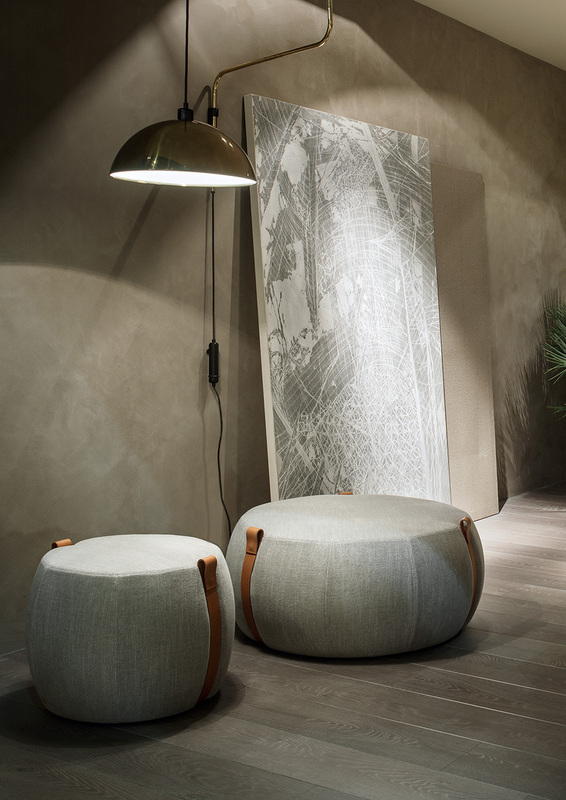 Its unpretentious design makes the Notch poufs a versatile piece within any setting, and is available in both small and large sizes. 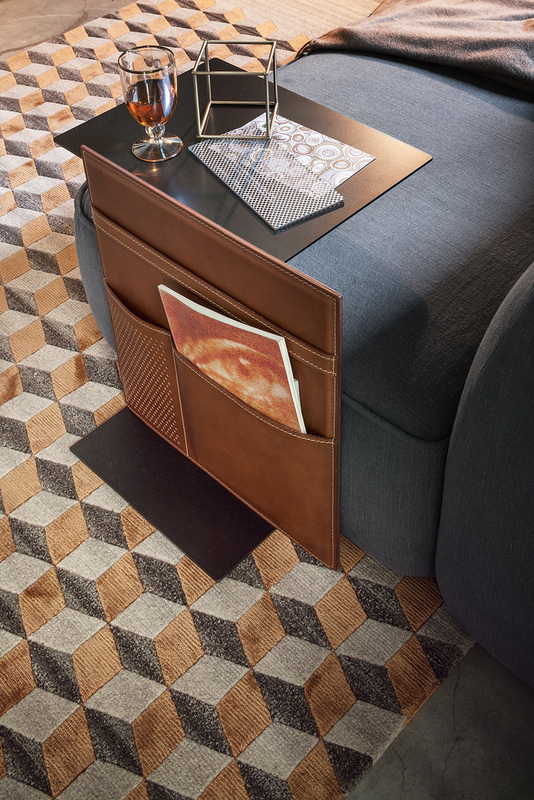 The detailing of leather straps break up the fabric upholstery, and allows for easy manoeuvrability of the pouf itself. 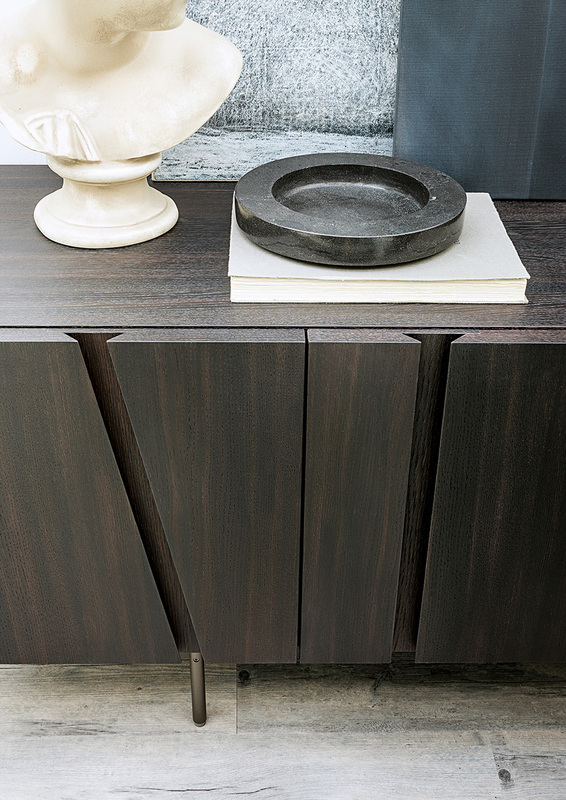 Cairoli & Donzelli designed the abstract Picture sideboard, emphasising natural and textured surfaces. The bronze base is ‘70s inspired, and the contrasting depths and angles of heat-treated oak are intriguing, yet harmoniously symmetric. 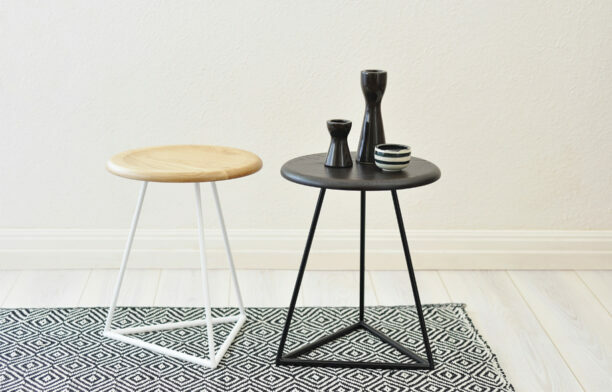 Rogerseller exclusively brings these pieces from Lema to Australia.